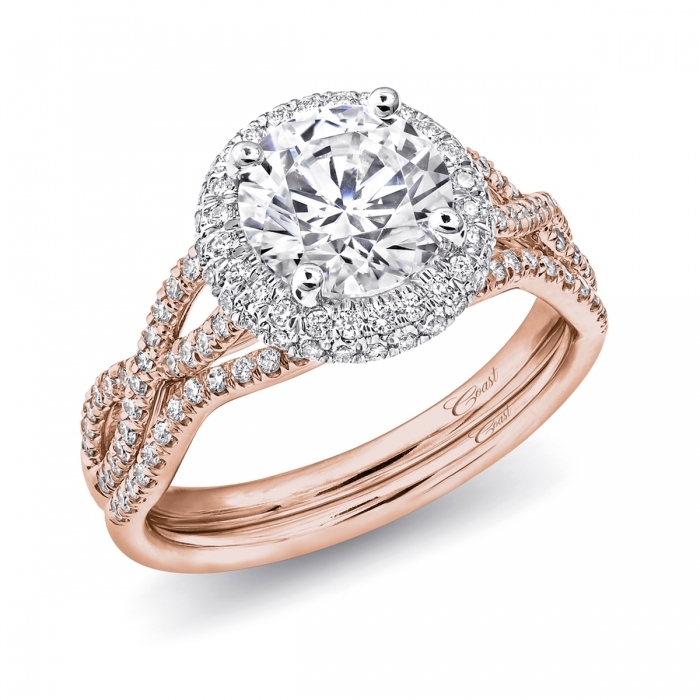 This exquisite engagement ring features a round white gold diamond halo surrounding the center stone. The centerpiece is accented by strings of diamonds set in rose gold which twist down the sides of the finger. Band sold separately.